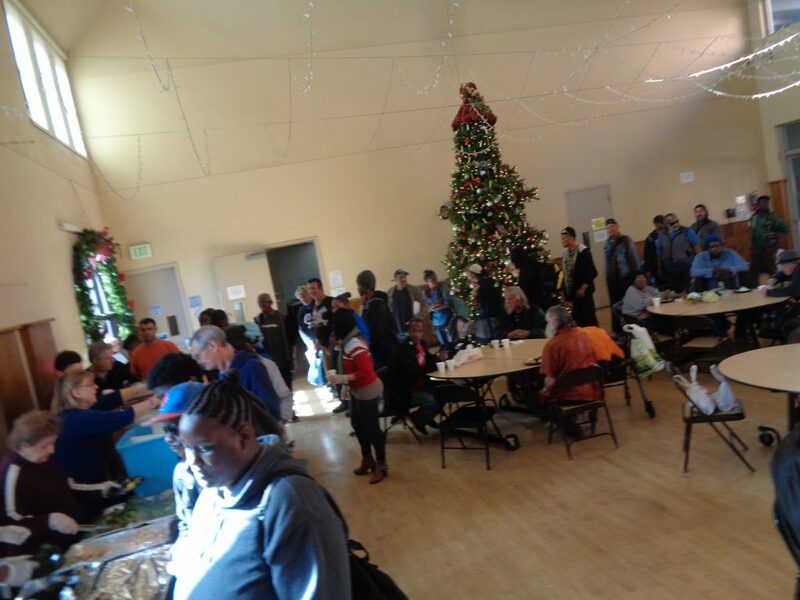 Yesterday, our staff and over 25 volunteers hosted 228 guests, of whom 22 were new, at the drop-in community center. 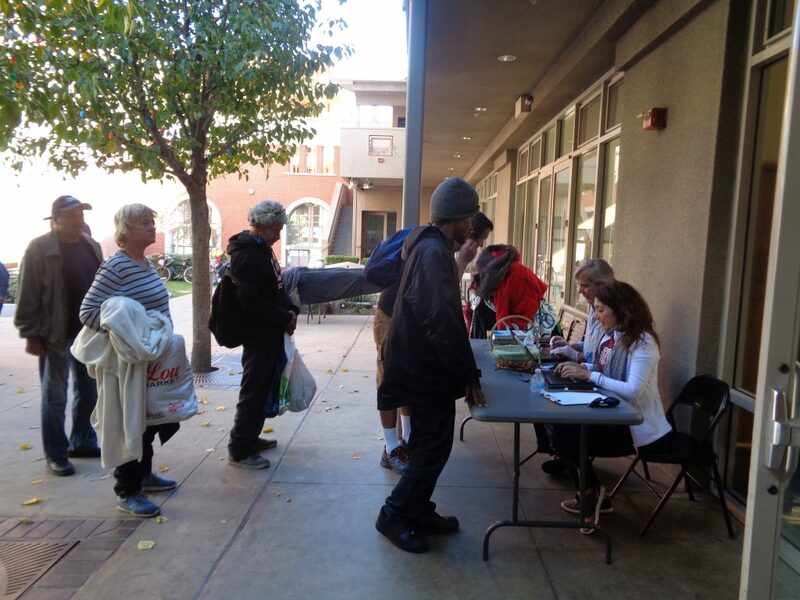 After our first meal service, we busily distributed clothes, groceries and toiletries. Staff and I met with several clients to determine a plan of action to stabilize their lives. This past week, we also funded motel stays, provided gas money and paid for miscellaneous necessities. We helped a family move into a family shelter and realized that the shelter had no bedding to give them. Luckily, we were able to give them bedding from our storage unit and purchase other essentials for their shelter room. As we close out 2018, I would like to reflect on our biggest asset at Urban Community Outreach – our volunteers. As a small non-profit, we rely on the goodness and generosity of our army of volunteers. Because school break is upon us, we did not have a large number of students in our midst. However, our reliable group of volunteers made yesterday’s operations run very smoothly. Thank you to Alvina, Neil, Jared, Israel, Meagan, Gayle, Kristine, Kyle, Ed, Peter and Steve who came as usual – I know our guests appreciated your hard work, kindness and hospitality. Thank you to Councilmember Suzie Price and her family for helping us on a day when we needed some extra hands. In addition to being generous with their time, many of our volunteers make donations of money, clothes and other items throughout the year. Recently, a volunteer modestly gave me a gently used winter coat for one of our families with a little girl whom she knew needed one. As it happened, I was able to give the coat to the little girl just after her birthday – she beamed when she received the coat and was so grateful for it. Yesterday, one of our consistent volunteers gave me a card as I was preparing to begin my sessions with clients. I was so touched when I opened the card to find a very generous personal check. When I thanked her, she mentioned that she used to make her donations to another cause, but volunteering at our drop-in center changed her thinking. As most of our volunteers know, UCO is a little different. Thanks to our individual, corporate and foundation donors UCO has been able to operate our weekly community center and give funds that have been used for temporary housing, transportation, apartment deposits, medicine, and other miscellaneous purchases that help ease the burden of poverty and homelessness and stabilize lives.